Taking the entire family on a water park getaway is the perfect family day trip, right? 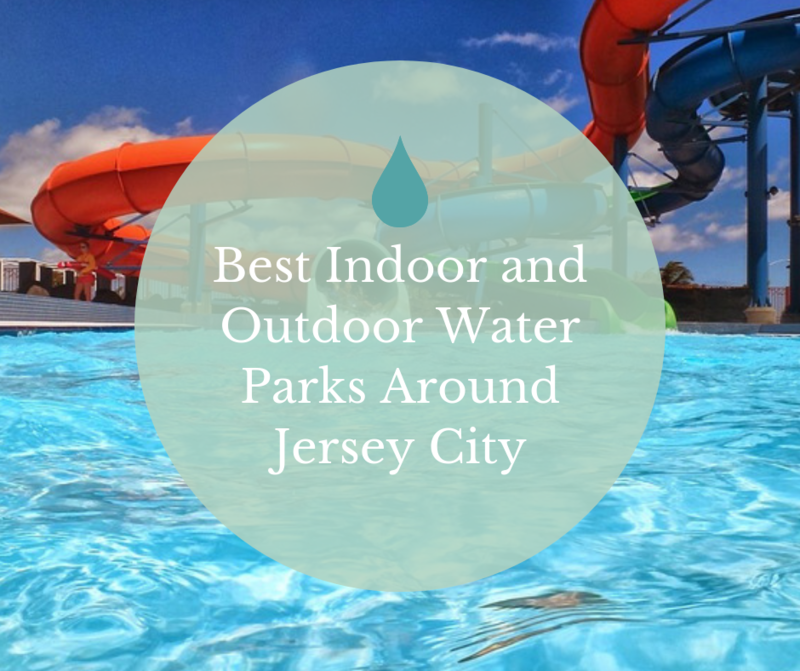 If you are looking for the Best indoor and outdoor water parks around Jersey City, you’ve come to the right place! There are heaps of indoor and outdoor water parks around Jersey City. Did you know that an hour or two of driving will land you in some awesome water park getaways? 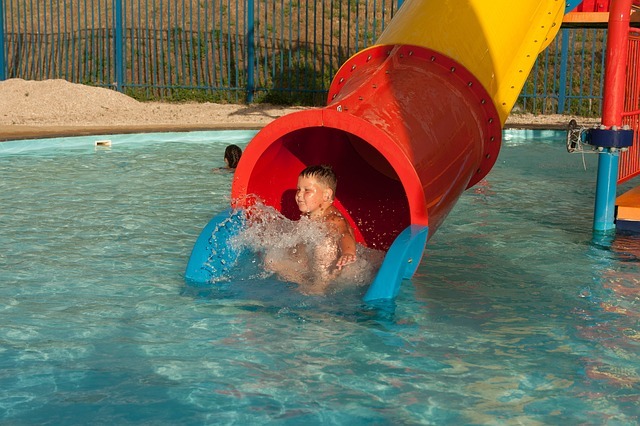 Kids love to splash around in the water, run through sprinklers, and go down water slides. 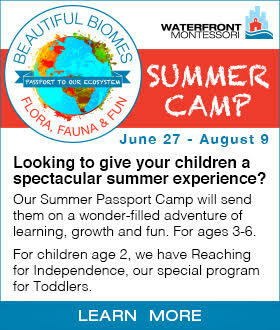 It’s also great for parents because whether the water park is indoors or outdoors, it is generally in a contained area. 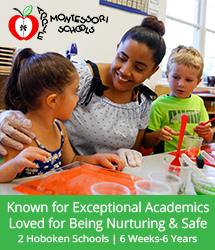 Therefore, parents do not have to worry about their kids running off. Let’s explore some of the best indoor and outdoor water parks around Jersey City! About and hour and twenty-minute drive from the heart of Jersey City, Coco Keys is in a great location in Mount Laurel, NJ. 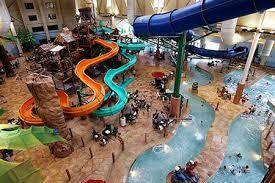 Although this indoor water park is located within a hotel, all non-hotel guests still have access to the water park. All you need to do is purchase your tickets in advance for guaranteed entry. What is really great about this indoor water park is it’s open all year round and is quite low-key and quiet. Many water parks can be saturated with people, but Coco Keys will give both you and the kids room to move around and breathe. The park features a 1,000-foot long water slide, a lazy river, an aquatic jungle gym, an indoor/outdoor spa for the parents, and much more. 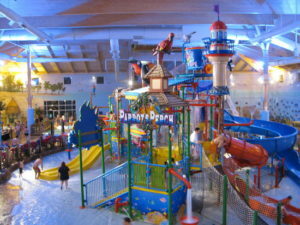 Located in Lake Harmony, PA, this indoor water park has over 53,000 feet of fun! This park has a three 4-story waterslides, a wave pool, activity pool, jungle gym, dumping bucket. Did we mention they also have lava springs hot tub for the parents? There is a little something for everyone at this resort. You can purchase tickets for the day. If you are looking for a longer getaway, you can stay at the resort in one of their rooms. This is certainly one of the best indoor and outdoor water parks around Jersey City. About an hour and a half drive, Kalahari Resorts is located in Pocono Manor, PA. 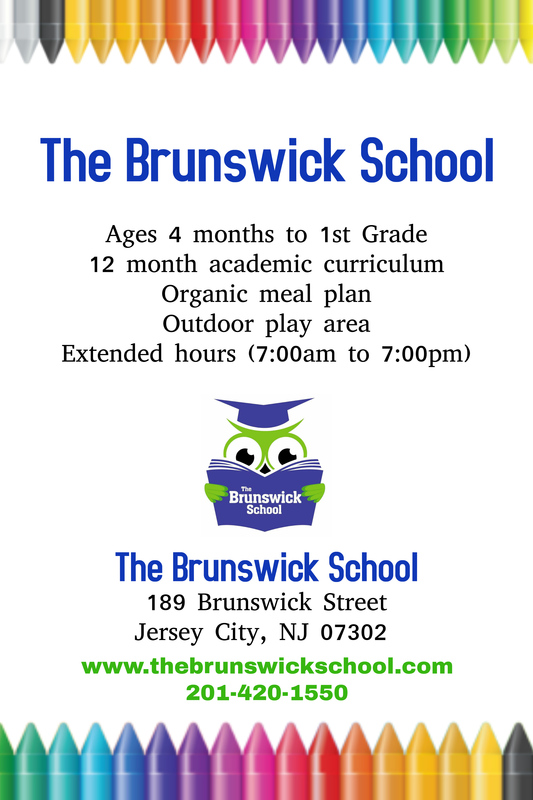 It is in a gorgeous, scenic location up around the Pocono Mountains. This water park opened its doors in 2015 and is open year-round for fun in all seasons. This park is Safari themed, which is great for kids who love animals and wild things! At 220,000 square feet, this water park is massive with so many attractions that you and the kids will be entertained for days. The park features areas like waterslides, wave pool, kids play area, surf section, and lazy river. If you visit in the summer the whole roof of the water park opens so you get an amazing outdoor summertime feel. About an hour and twenty-minute drive from the city, you’ll find Great Wolf Lodge in Scotrun, PA. This is definetly one of the best indoor and outdoor water parks around Jersey City! Likely the most well-known indoor water parks around the country, GWL knows all about family-friendly water activities. 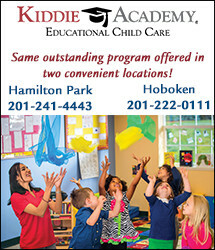 There’s endless amount of attractions for both the kids and adults. They have 2 different hot springs for adults, large and small water slides, slide boarding, and tons more. This outdoor water park is super close to the city, at only an hour drive away! 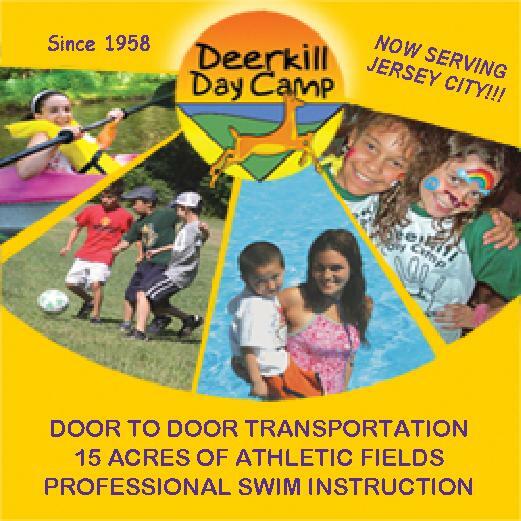 This is one of the best indoor and outdoor water parks around Jersey City, and it is conveniently located in Jackson, NJ. Six Flags Hurricane Harbor has a lazy river, tons of water slides, boogie boarding, water rafting, and more. For the younger kids, they have a baby pool, water swings, fountain, and a tree house. There is a great combination of features for parents, younger kids, and babies, which is perfect for families with many different ages. The main water park feature has multiple slides, a climbing net, wave pool, wading area for relaxing. They also have a pirate ship to climb and run through. 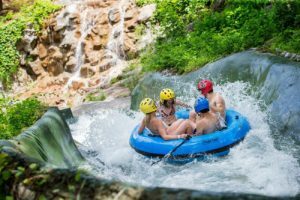 Did you know this ski resort turns into a fun water park and attraction during the warm summer months ? 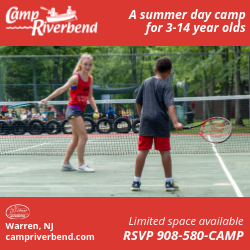 The park is located in Vernon, NJ and is about an hour and fifteen-minute drive from Jersey City. The park feature 22 wet attractions, which are separated into four different zones. These zones include an area for the youngest kids, the world’s tallest double looping thrill slide Zero-G (! ), cliff jumping, white water rafting, water slides, and more. You can even rent private cabanas to get away from the crowds and relax a little. With so many awesome features, especially for the older kids, this makes for one the best indoor and outdoor water parks around Jersey City. Next Next post: Summer’s Just Around the Riverbend!